Some artists sign their names clearly in full. Others choose more cryptic methods of identifying themselves, such as monograms or combining the initials of their first names in ligature (where two or more letters are joined as a single elemental symbol). Historically, most artists have left their work unsigned, the reasons for which have been pragmatic, political and aesthetic. Christie's '7 important things to know about artist signatures' is a helpful short guide. 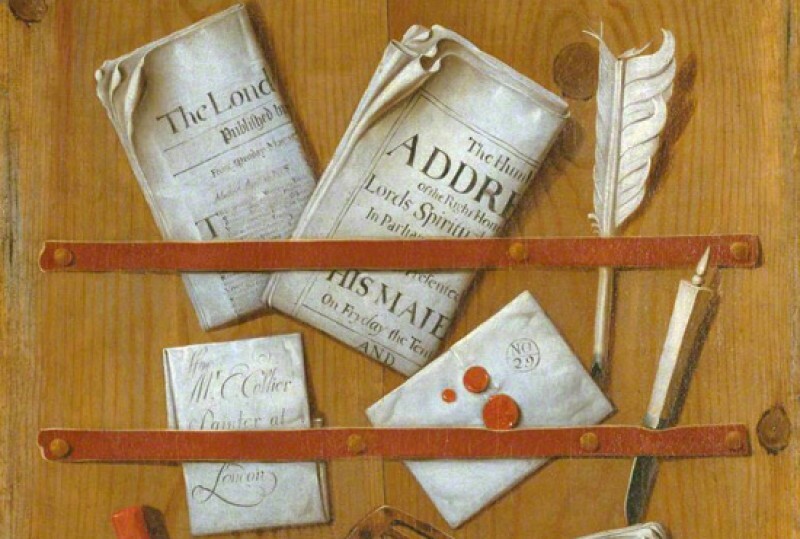 Clear signatures are plentiful in seventeenth-century Dutch painting. There are more than two dozen examples within Manchester Art Gallery's rich collection of portraits, scenes of everyday life, landscapes and seascapes. You must search for 'A. Cuyp' in the murky foreshore of River Scene with a View of Dordrecht and a Windmill, 1640–1645, but close up it can be spied in the dried seaweed, to the left of the dog, who might catch your attention. 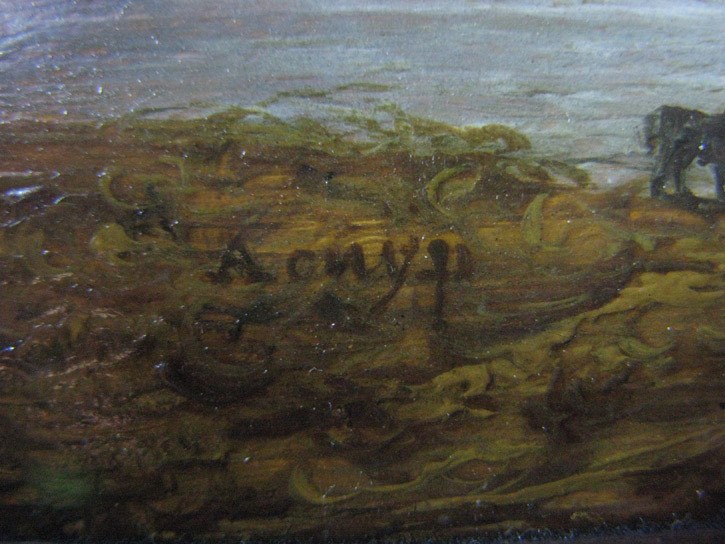 The initials of the marine painter Willem van de Velde II (1633–1707) are prominent on a piece of driftwood in the foreground of his painting. Tiny seagulls help to draw our attention to these larger-than-life initials. We recently concluded a two-year-long discussion on Art Detective about A View of the South Front of Bower House, Havering-atte-Bower, in the collection of Essex Record Office, which was attributed to the mysterious 'J. S.'. A related painting of the north front of Bower House was included in the topic. Initials on the painting thought to read J. S. or B. S.
It was suggested that the initials might refer to the owner/builder of the house, John Smith (d.1803), although it was later revealed that it was built by John Baynes and a John Smith did live there from 1777 to 1803 (the time of this painting). However, the name would turn out to be a red herring! 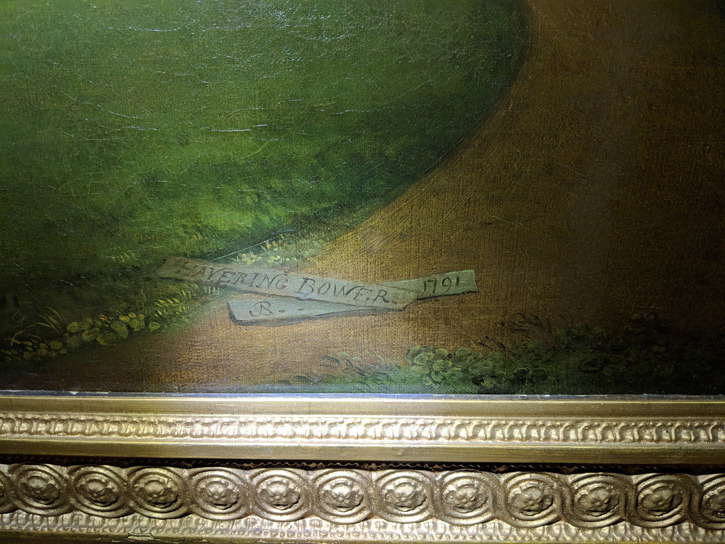 The discussion veered to whether the building was in fact Bower House, but this was settled by reference to two articles about Bower, written by Christopher Hussey for Country Life in 1944, which included images of these paintings. 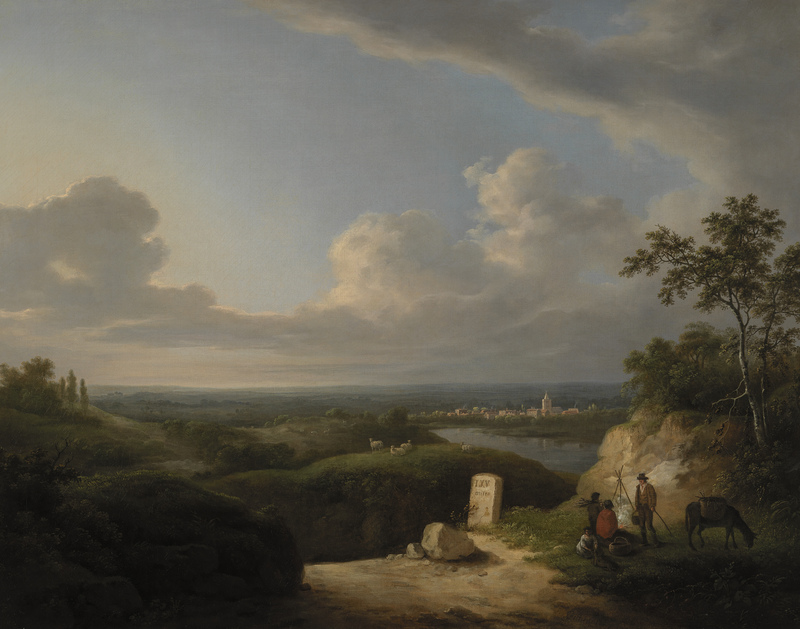 Curator Kieran Owens discovered that Abraham Pether (1756–1812), who was better known for his moonlit landscapes, had shown views of the north and south of 'Havering Bower' at the Royal Academy in 1792, no. 180 and no. 206 respectively. 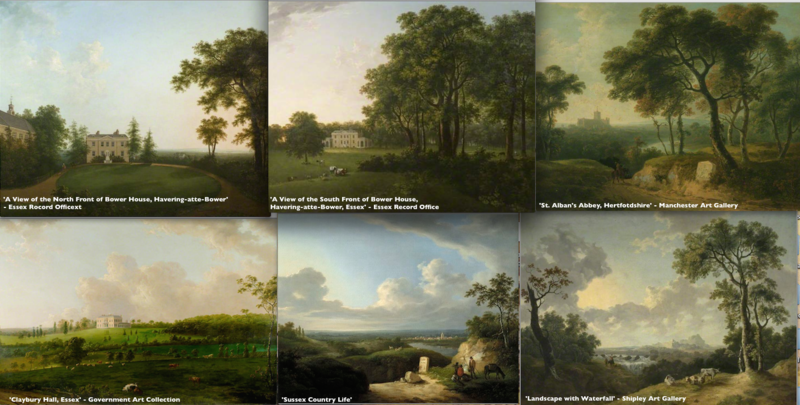 Kieran produced a composite image of paintings, among which were Claybury Hall, which is less than eight miles from Havering-atte-Bower and St Alban's Abbey, just 30 miles away, confirming that Pether was working in that geographical area in the late eighteenth and early nineteenth century. 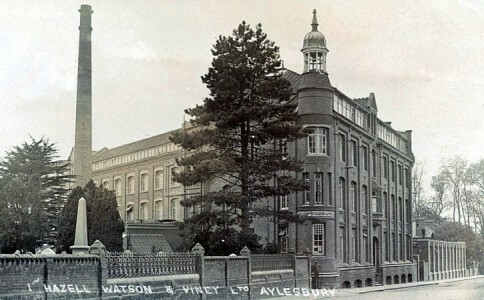 Essex Record Office was able to obtain a fine high-resolution image of their painting of the north front of the house. 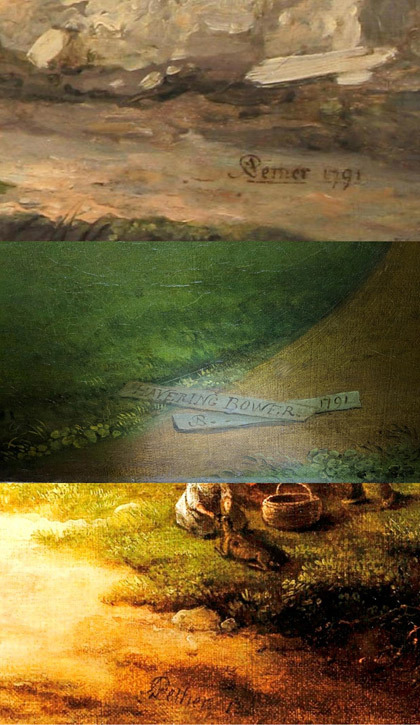 A helpful composite of Pether signatures from art historian Osmund Bullock helped to corroborate the finding. The final stage of the discussion successfully clarified the dating of the wings of Bower House. Osmund had noticed 'ghost' images on the wings apparently marking the original edge of the building. 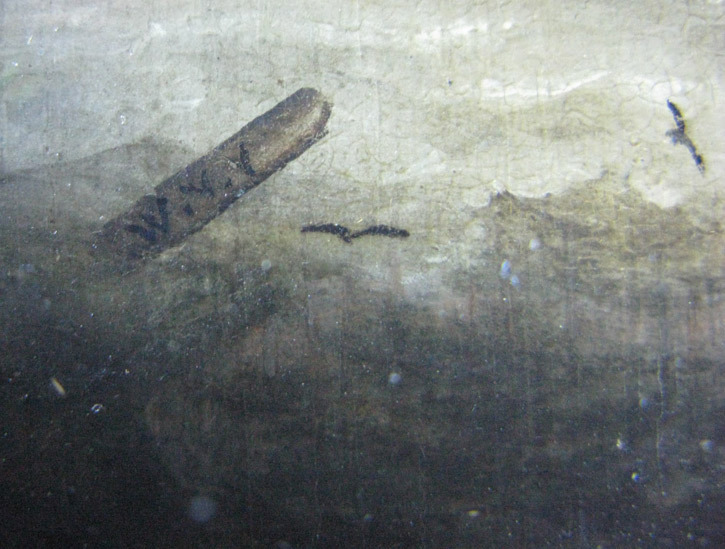 A crop from the main photograph supported the theory that the wings were added to the painting later without a perfect mastery of perspective. He found a detailed 2010 history of the building which he compared with Pevsner and other architectural texts – the conclusion reached was that the wings dated to c.1800 and were a later addition to the original paintings. The discussion reached the very satisfying conclusion that both views could be attributed to Abraham Pether and dated 1791. Every month we receive readers' suggestions about possible signatures or monograms. Most can be resolved effectively between the enquirer, Art UK and the collection that owns the painting. In a typical example, Jeremy Wheeldon contacted us in 2018 to say that Vincent Galloway (1894–1977) had painted this portrait of his fellow artist Herbert Rollett (1872–1932) in 1924, as reported in Allen Smith's 'Herbert Rollett RBA: Lincolnshire Grocer to acclaimed artist' (2009). Vincent Galloway was a celebrated artist from Hull – this portrait was presented to the council after the war and was sent for restoration in 1972. 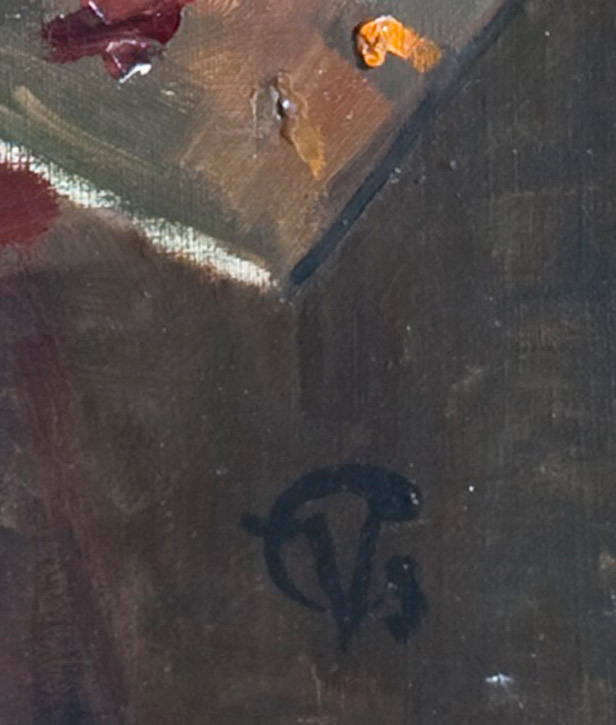 The large portrait clearly showed the monogram 'V. G.'. 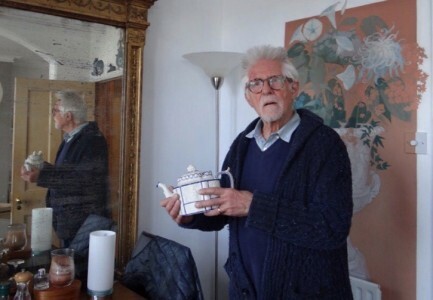 A former librarian remembered taking it to the Ferens Art Gallery for a retrospective exhibition of Galloway's work but it subsequently vanished – that is until 2003 when it was rediscovered at the Welholme Galleries in Grimsby. The 90 x 60 cm painting was listed on Art UK as the work of an artist known only by a monogram, interpreted as 'C. V. S.'. Despite the fact that the painting apparently resurfaced in 2003 as Galloway's lost portrait of Rollett, the picture had again lost its way – when the present owners, Grimsby Fishing Heritage Centre, were contacted, they also thought it was by 'C. 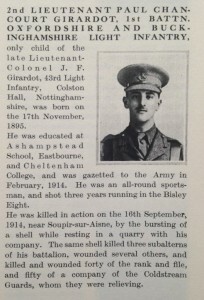 V. S.' and had no information to confirm the artist as Galloway. The next step was to see whether this monogram – now potentially decipherable as 'V. G.' – matched Vincent Galloway's signature and style in other paintings. Art UK holds high-resolution images of several portraits by Galloway, which made the task of confirming this easier by enlarging them to compare the signature and brushwork. The 'V. G.' monogram thought initially to be C. V. S.
It was concluded that the monogram was Galloway's and the collection agreed that the style of painting, so clear in the high-resolution image, provided sufficient evidence in conjunction with Smith's account to record this as the 'disappeared' portrait of Rollett, which had been hiding in plain sight. Several paintings on Art UK have unrecorded or even unnoticed signatures. Print curator Martin Hopkinson notified us that this portrait of Sir Frederic Bartlett, first Professor of Experimental Psychology at the University of Cambridge, listed on Art UK as by an unknown artist, was clearly signed lower right, perhaps 'P. G.'. 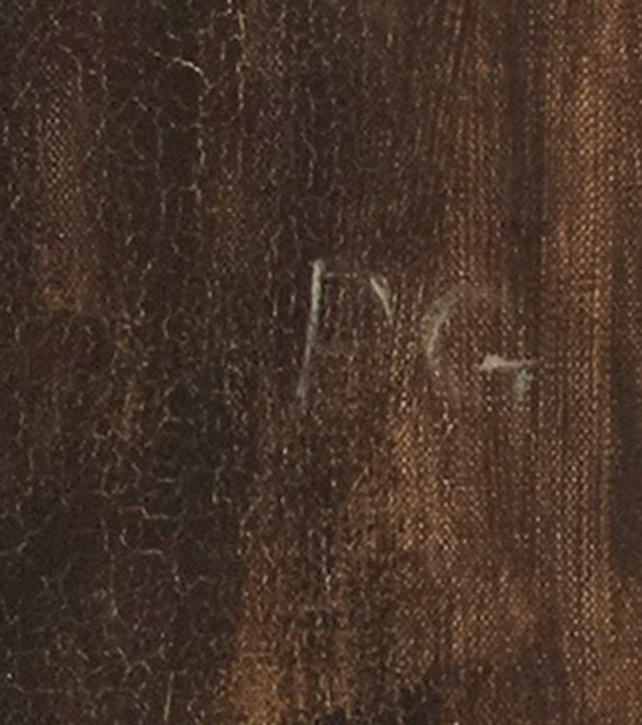 Detail of the initials P. G.
A search for a painter with those initials suggested that a potential candidate whose dates matched was the well-known portraitist Peter Greenham (1909–1992), 57 of whose paintings are in public collections. Martin confirmed that Greenham exhibited a portrait of Bartlett at the Royal Academy in 1953, no. 263. The signature in white capitals in the lower right of this picture match other signatures of Greenham and, although the collection had no further information, it was concluded that this was highly likely to be the painting exhibited at the RA in 1953. We have recently amended the artist record for this portrait of Evelyn Charles Sprawson (1881–1955), who was appointed Dean of the London Hospital Dental School in 1919. 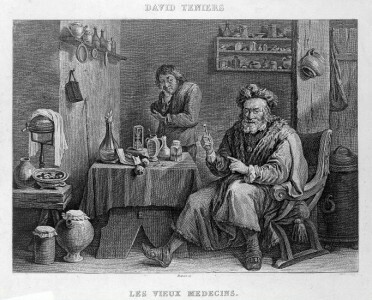 The collection – Barts and The London Queen Mary School of Medicine and Dentistry – was able to tell us that the portrait was presented by the London Hospital Dental Society on Professor Sprawson's retirement in 1947. Sprawson sought improvements in children's dentistry and forged links between the dental school and Barnardo's Children's Homes. Although this portrait was securely dated 1947 it had been attributed to William Irving (1866–1943). Andrew Greg noted this anomaly, remarking that the signature was indistinct and the style unlike other works by Irving. We had recently had a long discussion about a portrait of company director Oscar Vaughan Viney, which was discovered in a skip and found to have been painted by William Dring (1904–1990). 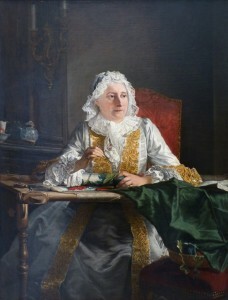 Having become familiar with Dring's distinctive signatures over the course of his career and with his painting style (in the course of that investigation I examined high-resolution images of all the signed portraits on Art UK, more than 40 signatures), I realised this was another portrait by Dring. It was not only the signature but also the colours – the vibrant lime yellows and slightly flat reds that reminded me of Miss Elizabeth Bolton and Henry Burch, Baron of the Cinque Ports, Mayor (1945–1946). It was the sensitivity in the face: when Dring's sitters look you in the eye, they seem to do so approvingly, as if they know he understood them. There are numerous unidentified or unnoticed signatures among the hundreds of pictures on Art UK listed as by 'unknown artist', so please help us to investigate and enhance these records. 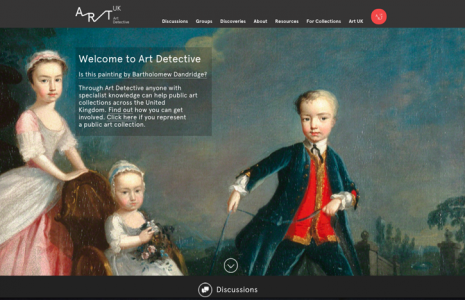 If Art UK and the collection cannot find an answer, the query can be added as a public discussion on Art Detective.